Sir John Betjeman CBE (/ˈbɛtʃəmən/; 28 August 1906 – 19 May 1984) was an English poet, writer, and broadcaster who described himself in Who's Who as a "poet and hack". He was Poet Laureate of the United Kingdom from 1972 until his death. Betjeman was born John Betjemann. He was the son of a prosperous silverware maker of Dutch descent. His parents, Mabel (née Dawson) and Ernest Betjemann, had a family firm at 34–42 Pentonville Road which manufactured the kind of ornamental household furniture and gadgets distinctive to Victorians. During the First World War the family name was changed to the less German-looking Betjeman. His father's forebears had actually come from the present day Netherlands more than a century earlier, setting up their home and business in Islington, London, and during the Fourth Anglo-Dutch War had, ironically, added the extra "-n" to avoid the anti-Dutch sentiment existing at the time. Betjeman was baptised at St Anne's Church, Highgate Rise, a 19th-century church at the foot of Highgate West Hill. The family lived at Parliament Hill Mansions in the Lissenden Gardens private estate in Gospel Oak in north London. Betjeman's early schooling was at the local Byron House and Highgate School, where he was taught by poet T. S. Eliot. After this, he boarded at the Dragon School preparatory school in North Oxford and Marlborough College, a public school in Wiltshire. In his penultimate year, he joined the secret Society of Amici in which he was a contemporary of both Louis MacNeice and Graham Shepard. He founded The Heretick, a satirical magazine that lampooned Marlborough's obsession with sport. While at school, his exposure to the works of Arthur Machen won him over to High Church Anglicanism, a conversion of importance to his later writing and conception of the arts. Betjeman left Marlborough in July 1925. 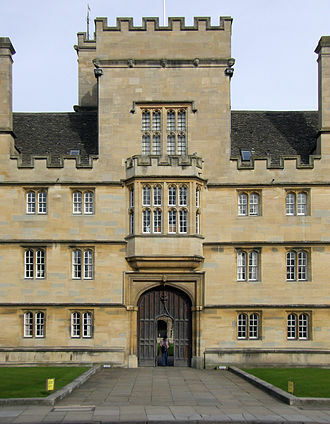 Betjeman entered the University of Oxford with difficulty, having failed the mathematics portion of the university's matriculation exam, Responsions. He was, however, admitted as a commoner (i.e. 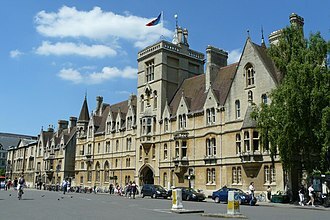 a non-scholarship student) at Magdalen College and entered the newly created School of English Language and Literature. At Oxford, Betjeman made little use of the academic opportunities. His tutor, a young C. S. Lewis, regarded him as an "idle prig" and Betjeman in turn considered Lewis unfriendly, demanding, and uninspiring as a teacher. Betjeman particularly disliked the coursework's emphasis on linguistics, and dedicated most of his time to cultivating his social life and his interest in English ecclesiastical architecture, and to private literary pursuits. At Oxford he was a friend of Maurice Bowra, later (1938 to 1970) to be Warden of Wadham. Betjeman had a poem published in Isis, the university magazine, and served as editor of the Cherwell student newspaper during 1927. His first book of poems was privately printed with the help of fellow student Edward James. He famously brought his teddy bear Archibald Ormsby-Gore up to Magdalen with him, the memory of which inspired his Oxford contemporary Evelyn Waugh to include Sebastian Flyte's teddy Aloysius in Brideshead Revisited. Much of this period of his life is recorded in his blank verse autobiography Summoned by Bells published in 1960 and made into a television film in 1976. It is a common misapprehension, cultivated by Betjeman himself, that he did not complete his degree because he failed to pass the compulsory holy scripture examination, known colloquially as "Divvers", short for "Divinity". In Hilary term 1928, Betjeman failed Divinity for the second time. He had to leave the university for the Trinity term to prepare for a retake of the exam; he was then allowed to return in October. Betjeman then wrote to the Secretary of the Tutorial Board at Magdalen, G. C. Lee, asking to be entered for the Pass School, a set of examinations taken on rare occasions by undergraduates who are deemed unlikely to achieve an honours degree. In Summoned by Bells Betjeman claims that his tutor, C. S. Lewis, said "You'd have only got a third" – but he had informed the tutorial board that he thought Betjeman would not achieve an honours degree of any class. Permission to sit the Pass School was granted. Betjeman famously decided to offer a paper in Welsh. Osbert Lancaster tells the story that a tutor came by train twice a week (first class) from Aberystwyth to teach Betjeman. However, Jesus College had a number of Welsh tutors who more probably would have taught him. Betjeman finally had to leave at the end of the Michaelmas term, 1928. Betjeman did pass his Divinity examination on his third try but was 'sent down' after failing the Pass School. He had achieved a satisfactory result in only one of the three required papers (on Shakespeare and other English authors). Betjeman's academic failure at Oxford rankled with him for the rest of his life and he was never reconciled with C.S. Lewis, towards whom he nursed a bitter detestation. This situation was perhaps complicated by his enduring love of Oxford, from which he accepted an honorary doctorate of letters in 1974. 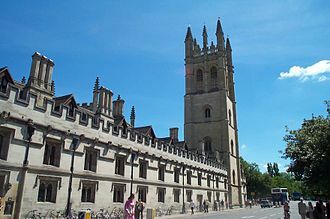 Betjeman left Oxford without a degree. Whilst there, however, he had made the acquaintance of people who would later influence his work, including Louis MacNeice and W. H. Auden. 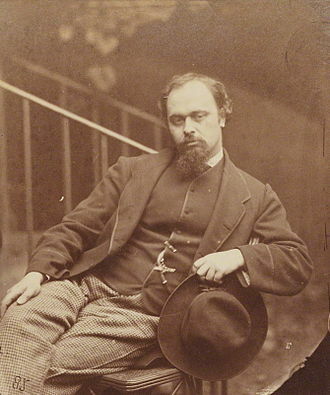 He worked briefly as a private secretary, school teacher and film critic for the Evening Standard, where he also wrote for their high-society gossip column, the Londoner's Diary. He was employed by the Architectural Review between 1930 and 1935, as a full-time assistant editor, following their publishing of some of his freelance work. Timothy Mowl (2000) says, "His years at the Architectural Review were to be his true university". At this time, while his prose style matured, he joined the MARS Group, an organisation of young modernist architects and architectural critics in Britain. Betjeman's sexuality can best be described as bisexual, and his longest and best documented relationships were with women, and a fairer analysis of his sexuality may be that he was "the hatcher of a lifetime of schoolboy crushes – both gay and straight", most of which progressed no further. Nevertheless, he has been considered "temperamentally gay", and even became a penpal of Lord Alfred 'Bosie' Douglas of Oscar Wilde fame. On 29 July 1933 Betjeman married the Hon. Penelope Chetwode, the daughter of Field Marshal Lord Chetwode. The couple lived in Berkshire and had a son, Paul, in 1937, and a daughter, Candida, in 1942. In 1937, Betjeman was a churchwarden at Uffington, the Berkshire village (in Oxfordshire since boundary changes of 1974) where he lived. That year, he paid for the cleaning of the church's royal arms and later presided over the conversion of the church's oil lamps to electricity. The Shell Guides were developed by Betjeman and Jack Beddington, a friend who was publicity manager with Shell-Mex Ltd, to guide Britain's growing number of motorists around the counties of Britain and their historical sites. They were published by the Architectural Press and financed by Shell. By the start of World War II 13 had been published, of which Cornwall (1934) and Devon (1936) were written by Betjeman. A third, Shropshire, was written with and designed by his good friend John Piper in 1951. In 1939, Betjeman was rejected for active service in World War II but found war work with the films division of the Ministry of Information. In 1941 he became British press attaché in neutral Dublin, Ireland, working with Sir John Maffey. His secretary in Dublin was the journalist and writer Shevawn Lynam, the author of the novel The Spirit and the Clay, about the resistance to Francoism in the Basque Country. Betjeman may have been involved with the gathering of intelligence. He is reported to have been selected for murder by the IRA. The order was rescinded after a meeting with an unnamed Old IRA man who was impressed by his works. Betjeman wrote a number of poems based on his experiences in "Emergency" World War II Ireland including "The Irish Unionist's Farewell to Greta Hellstrom in 1922" (written during the war) which contained the refrain "Dungarvan in the rain". 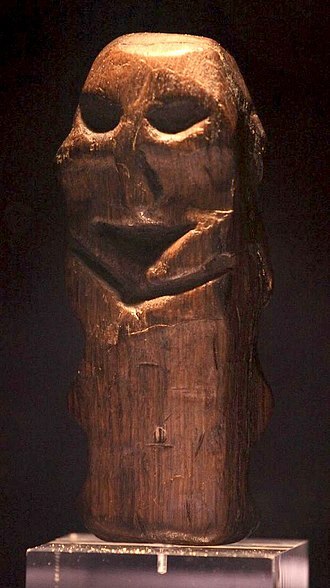 The object of his affections, "Greta", has remained a mystery until recently revealed to have been a member of a well-known Anglo-Irish family of Western county Waterford. His official brief included establishing friendly contacts with leading figures in the Dublin literary scene: he befriended Patrick Kavanagh, then at the very start of his career. Kavanagh celebrated the birth of Betjeman's daughter with a poem "Candida"; another well-known poem contains the line Let John Betjeman call for me in a car. Betjeman's wife Penelope became a Roman Catholic in 1948. The couple drifted apart and in 1951 he met Lady Elizabeth Cavendish, with whom he developed an immediate and lifelong friendship. By 1948 Betjeman had published more than a dozen books. Five of these were verse collections, including one in the USA. Sales of his Collected Poems in 1958 reached 100,000. The popularity of the book prompted Ken Russell to make a film about him, John Betjeman: A Poet in London (1959). Filmed in 35mm and running 11 minutes and 35 seconds, it was first shown on BBC's Monitor programme. In 1953 his address was the Old Rectory, Farnborough, Wantage, Berkshire. He continued writing guidebooks and works on architecture during the 1960s and 1970s and started broadcasting. He was a founder member of the Victorian Society (1958). Betjeman was closely associated with the culture and spirit of Metro-land, as outer reaches of the Metropolitan Railway were known before the war. In 1973 he made a widely acclaimed television documentary for the BBC called Metro-Land, directed by Edward Mirzoeff. On the centenary of Betjeman's birth in 2006, his daughter led two celebratory railway trips: from London to Bristol, and through Metro-land, to Quainton Road. In 1974, Betjeman and Mirzoeff followed up Metro-Land with A Passion for Churches, a celebration of Betjeman's beloved Church of England, filmed entirely in the Diocese of Norwich. In 1975, he proposed that the Fine Rooms of Somerset House should house the Turner Bequest, so helping to scupper the plan of the Minister for the Arts for a Theatre Museum to be housed there. In 1977 the BBC broadcast "The Queen's Realm: A Prospect of England", an aerial anthology of English landscape, music and poetry, selected by Betjeman and produced by Edward Mirzoeff, in celebration of the Queen's Silver Jubilee. Betjeman was fond of the ghost stories of M.R. James and supplied an introduction to Peter Haining's book M.R. James – Book of the Supernatural. He was susceptible to the supernatural. Diana Mitford tells the story of Betjeman staying at her country home, Biddesden House, in the 1920s. She says, "he had a terrifying dream, that he was handed a card with wide black edges, and on it his name was engraved, and a date. He knew this was the date of his death". For the last decade of his life Betjeman suffered increasingly from Parkinson's disease. He died at his home in Trebetherick, Cornwall on 19 May 1984, aged 77, and is buried nearby at St Enodoc's Church. He talks of Ovaltine and Sturmey-Archer bicycle gears. "Oh! Fuller's angel cake, Robertson's marmalade," he writes, "Liberty lampshades, come shine on us all." In a 1962 radio interview he told teenage questioners that he could not write about 'abstract things', preferring places, and faces. Philip Larkin wrote of his work, "how much more interesting & worth writing about Betjeman's subjects are than most other modern poets, I mean, whether so-and-so achieves some metaphysical inner unity is not really so interesting to us as the overbuilding of rural Middlesex". Betjeman became Poet Laureate of the United Kingdom in 1972, the first Knight Bachelor to be appointed (the only other, Sir William Davenant, was knighted after his appointment). This role, combined with his popularity as a television performer, ensured that his poetry reached an audience enormous by the standards of the time. Similarly to Tennyson, he appealed to a wide public and managed to voice the thoughts and aspirations of many ordinary people while retaining the respect of many of his fellow poets. This is partly because of the apparently simple traditional metrical structures and rhymes he uses. In the early 1970s, he began a recording career of four albums on Charisma Records which included Betjeman's Banana Blush (1974) and Late Flowering Love (1974), where his poetry reading is set to music with overdubbing by leading musicians of the time. His recording catalogue extends to nine albums, four singles and two compilations. Prompted by the rapid development of the Buckinghamshire town before World War II, Betjeman wrote the ten-stanza poem Slough to express his dismay at the industrialisation of Britain. He later came to regret having written it. The poem was first included in his 1937 collection Continual Dew. Betjeman had a fondness for Victorian architecture and was a founding member of the Victorian Society. He wrote on this subject in First and Last Loves (1952) and more extensively in London's Historic Railway Stations in 1972, defending the beauty of 12 stations. He led the campaign to save Holy Trinity, Sloane Street in London when it was threatened with demolition in the early 1970s. He fought a spirited but unsuccessful campaign to save the Propylaeum, known commonly as the Euston Arch, London. He is considered instrumental in helping to save St Pancras railway station, London, and was commemorated when it became an international terminus for Eurostar in November 2007. He called the plan to demolish St Pancras a "criminal folly". About it he wrote, "What [the Londoner] sees in his mind's eye is that cluster of towers and pinnacles seen from Pentonville Hill and outlined against a foggy sunset, and the great arc of Barlow's train shed gaping to devour incoming engines, and the sudden burst of exuberant Gothic of the hotel seen from gloomy Judd Street." On the reopening of St Pancras station in 2007, a statue of Betjeman was commissioned from curators Futurecity. A proposal by artist Martin Jennings was selected from a shortlist. The finished work was erected in the station at platform level, including a series of slate roundels depicting selections of Betjeman's writings. Betjeman was given the remaining two-year lease on Victorian Gothic architect William Burges's Tower House in Holland Park upon leaseholder Mrs E.R.B. Graham's death in 1962. Betjeman felt he could not afford the financial implications of taking over the house permanently, with his potential liability for £10,000 of renovations upon the expiration of the lease. After damage from vandals, restoration began in 1966. Betjeman's lease included furniture from the house by Burges, and Betjeman gave three pieces, the Zodiac settle, the Narcissus washstand, and the Philosophy cabinet, to Evelyn Waugh. In a BBC film made in 1968 but not broadcast at that time, Betjeman described the sound of Leeds to be of "Victorian buildings crashing to the ground". He went on to lambast John Poulson's British Railways House (now City House), saying how it blocked all the light out to City Square and was only a testament to money with no architectural merit. He also praised the architecture of Leeds Town Hall. In 1969 Betjeman contributed the foreword to Derek Linstrum's Historic Architecture of Leeds. Betjeman was for over 20 years a trustee of the Bath Preservation Trust and was Vice-President from 1965 to 1971, at a time when Bath—a city rich in Georgian architecture—was coming under increasing pressure from modern developers, and a major road was proposed to cut across it. :440 He also created a short television documentary called Architecture of Bath, in which he voiced his concerns about the way the city's architectural heritage was being mistreated. From 1946 to 1948 he had served as Secretary to the Oxford Preservation Trust. Betjeman was also instrumental in saving the Duke of Cornwall Hotel in Plymouth. A memorial window, Symbols of the Resurrection designed by John Piper, in All Saints' Church, Farnborough, Berkshire, where Betjeman lived in the nearby Rectory. A British Rail Class 86 AC electric locomotive, 86229, was named Sir John Betjeman by the man in person at St Pancras station on 24 June 1983, just before his death; it was renamed Lions Group International in 1998 and is now in storage. The nameplate is now carried by Class 90 locomotive 90007, in service on the London – Norwich route. In 2003, to mark their centenary, the residents of Lissenden Gardens in north London put up a blue plaque to mark Betjeman's birthplace. In 2006 a blue plaque was erected at Garrard's Farm, Uffington, Oxfordshire which had been his first married home. A blue plaque has been erected at 43 Cloth Fair, opposite St Bartholomew-the-Great church and near St Bartholomew's Hospital, where he lived and worked. He let the ground floor to Leonard Beddall-Smith, the conservation architect and Georgian specialist, who was the founder architect of the Landmark Trust, who now own the building to celebrate Betjeman's time there. The statue of John Betjeman at St Pancras station in London by sculptor Martin Jennings was unveiled in 2007. In 2012 Betjeman featured on BBC Radio 4 as author of the week on The Write Stuff. In 2014, a new street in Cleobury Mortimer, Shropshire, was named 'Betjeman Way', in honour of the poet, and in recognition of the fact that the restoration of Cleobury Mortimer's church steeple won SPAB's John Betjeman award in 1994. On 1 September 2014 Betjeman was the subject of the hour-long BBC Four documentary Return to Betjemanland, presented by his biographer A. N. Wilson. At the start of the broadcast, there was a spoken tribute to Betjeman's daughter Candida Lycett Green, who had died just twelve days earlier on 19 August, aged 71. On 28 August 2016 a bust of Betjeman based on the St Pancras statue was unveiled outside the Vale and Downland Museum in Wantage, Oxfordshire. On 10 June 2017 a plaque was unveiled at the Dragon School, Oxford to mark the centenary of his arrival there on 2 May 1917. An Oxford University Chest. 1938. Old Lights for New Chancels: Verses Topographical and Amatory. John Murray. 1940. Shropshire: A Shell Guide. Faber & Faber. 1951. Summoned by Bells. John Murray. 1960. London's Historic Railway Stations. John Murray. 1972. ISBN 978-0-7195-3426-3. Betjeman’s Best British Churches. HarperCollins Publishers. 2011. ISBN 978-0-00-741688-2. ^ "Survey of London: volume 47: Northern Clerkenwell and Pentonville". English Heritage. 2008. pp. 339–372. Retrieved 28 February 2014. ^ a b Mowl, Timothy (2011). 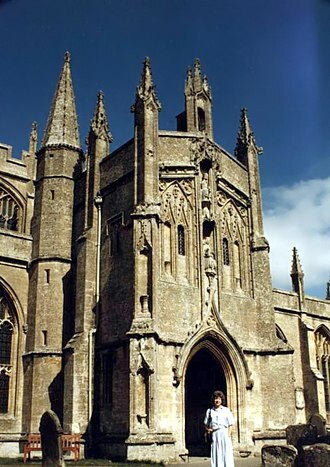 Stylistic Cold Wars: Betjeman Versus Pevsner. Faber & Faber. p. 13. ISBN 978-0-571-27535-9. ^ Hinde, Thomas (1992). Paths of Progress: A History of Marlborough College. James & James. ISBN 978-0-907383-33-8. ^ a b Gardner, Kevin J. (30 August 2006). Faith and Doubt of John Betjeman: An Anthology of his Religious Verse. Bloomsbury Publishing. ISBN 978-1-4411-5354-8. ^ a b Peterson, William S. (2006). John Betjeman: A Bibliography. Oxford: Clarendon Press. ISBN 978-0-19-818403-4. ^ Hillier, Bevis (2003). Young Betjeman. John Murray. pp. 181–194. ISBN 978-0-7195-6488-8. ^ Taylor-Martin, Patrick (1983). John Betjeman, his life and work. Allen Lane. p. 35. ^ Thompson, Johnathan (13 August 2006). "Betjeman Poet, hero of Middle England & a very bad boy". The Independent. Retrieved 1 December 2015. ^ Gowers, Justin (17 December 2008). "Why John Betjeman is a true gay icon". the Guardian. Retrieved 31 July 2018. ^ "John Betjeman". Faber & Faber. n.d. Retrieved 31 July 2018. ^ "John Betjeman: A Poet in London (1959)". BFI Screenonline. 2014. Retrieved 31 July 2018. 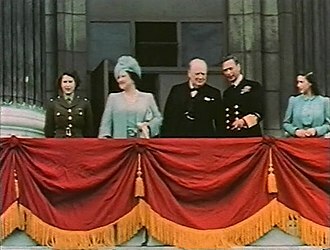 ^ Mosley, Diana (2008). A Life of Contrasts: The Autobiography. Gibson Square. 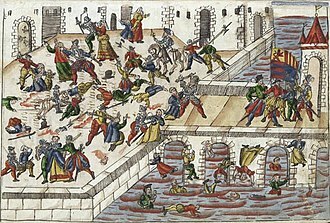 p. 83. ISBN 978-1-906142-14-8. ^ Betjeman 1940, p. 50, Myfanwy at Oxford. ^ "John Betjeman: Recollections from the BBC Archives". British Universities Film & Video Council. 1998. Retrieved 31 July 2018. ^ Larkin, Philip (2010). Letters to Monica. Faber & Faber. p. 147. ISBN 978-0-571-23909-2. ^ "John Betjeman". The Poetry Archive. 2016. Retrieved 31 July 2018. ^ Pearce, David (1989). Conservation Today. Routledge. ISBN 978-0-415-00778-8. ^ a b Shukor, Steven (6 November 2007). "St Pancras faced demolition ball". BBC News. Retrieved 31 July 2018. ^ Betjeman 1972, p. 11. ^ a b Wilson, A. N. (2011). Betjeman. Random House. pp. 208–. ISBN 978-1-4464-9305-2. ^ "Leeds International Film Festival". Leeds International Film Festival. Archived from the original on 14 October 2008. ^ Wainwright, Martin (16 February 2009). "BBC revives unaired Betjeman film forgotten for 40 years". The Guardian. Retrieved 16 February 2009. ^ Betjeman 1997, p. 399. ^ Kennedy, Maev (16 September 2006). "Betjeman's childhood home gets blue plaque". The Guardian. Retrieved 5 January 2015. ^ Walton, James (17 June 2012). "Sir John Betjeman". The Write Stuff. BBC Radio. Retrieved 16 July 2013. ^ Wilson, A. N. (28 December 2014). "Return to Betjemanland". BBC. Retrieved 8 January 2015. ^ Dowlen, Jerry (November 2014). "Jerry Dowlen on... John Betjeman & Candida Lycett Green". Books Monthly. Retrieved 31 July 2018. ^ Lisle, Nicola (7 August 2006). "Betjeman's blue plaque". Oxford Mail. Retrieved 31 July 2018. ^ "University of Oxford Undergraduate Prospectus 2011". University of Oxford. Retrieved 5 March 2013. Brooke, Jocelyn (1962). Ronald Firbank: John Betjeman. London: Longmans, Green & Co.
Games, Stephen; et al. (2006). Trains and buttered toast: selected radio talks. London: John Murray. Games, Stephen, ed. (2007a). Tennis Whites and Teacakes. London: John Murray. ISBN 978-0-7195-6903-6. Games, Stephen, ed. (2007b). Sweet Songs of Zion: Selected Radio Talks. London: Hodder & Stoughton. ISBN 978-0-340-94376-2. Games, Stephen, ed. (2010). Betjeman's England. London: Hodder & Stoughton. ISBN 978-1-84854-380-5. Gardner, Kevin J. (2006a). "John Betjeman". In Kastan, David Scott (ed.). The Oxford Encyclopedia of British Literature. Oxford University Press. ISBN 978-0-19-516921-8. Gardner, Kevin J, ed. (2006b). Faith and Doubt of John Betjeman: An Anthology of His Religious Verse. A&C Black. ISBN 978-0-8264-8272-3. Gardner, Kevin J, ed. (2011). Betjeman on Faith: An anthology of his religious prose. SPCK. ISBN 978-0-281-06663-6. Hillier, Bevis (1984). John Betjeman: a life in pictures. London: John Murray. Wikimedia Commons has media related to John Betjeman. Sir Osbert Lancaster, CBE was an English cartoonist, art critic and stage designer, best known to the public at large for his cartoons published in the Daily Express. Interested in art and architectural history and an activist for conservation, much of his work parodied British history, Lancaster was born in London, and educated at St Ronans School, and at Charterhouse and Lincoln College, Oxford. At Oxford he became friends with John Betjeman and drew cartoons for the university magazine Cherwell and he graduated with a fourth-class degree in English after an extra year beyond the normal three years of study. Intending a career in law, he failed his bar exams, Lancaster initially worked alongside Betjeman at the Architectural Review. In 1936 he published Progress at Pelvis Bay, the first of his books of social and architectural satire. In these he sympathetically mocked the British upper classes, personified by his characters William, during his Express career Lancaster drew some 10,000 cartoons over a period of 40 years. During World War II, Lancaster worked in censorship, in Greece as a Foreign Office press attaché. During the war years his cartoons provided comic relief from the privations of rationing and bombing raids, after the war Lancaster published Classical Landscape with Figures, The Saracens Head and Drayneflete Revealed, the last dealing with the Littlehamptons architectural and artistic inheritances. Along with The Littlehampton Bequest, it provided a humorous and satirical but very well-informed, survey of architectural and aesthetic trends in British, among the books he illustrated in this period was Say Please by Virginia Graham, a sardonic etiquette guide. In 1951 Lancaster worked with John Piper on designs for the Festival of Britain and this was followed by stage design work for opera and theatre including productions at Sadlers Wells and Glyndebourne, among them Frederick Ashtons production of La Fille mal gardée. Lancaster was firmly embedded in the British upper middle classes, as is clear by his autobiographies All Done From Memory and With an Eye to the Future. Gospel Oak is an inner urban area of north London in the London Borough of Camden at the very south of Hampstead Heath. The neighbourhood is positioned between Hampstead to the north-west, Dartmouth Park to the north-east, Kentish Town to the south-east, Gospel Oak lies across the NW5 and NW3 postcodes and is served by Gospel Oak station on the London Overground. The North London Suburb, Gospel Oak, has schools around it. The name Gospel Oak derives from an oak tree, under which parishioners gathered to hear regular gospel readings when the area was still rural. The oak of Gospel Oak marked the boundary between the parishes of Hampstead and St Pancras, and was said to be situated on the corner of Mansfield Road, the oak vanished sometime in the 1800s and was last recorded on a map of the area in 1801. There are reports that the founder of Methodism John Wesley preached from the oak, the small street named Wesleyan Place, off Highgate Road, was the original site of a very early Methodist chapel that was connected with the famous oak. Local resident Michael Palin attempted in 1998 to re-plant a new oak tree for Gospel Oak in Lismore Circus, but the tree has not survived. The history of Gospel Oak can be traced as far back as the history of Hampstead, situated as it is in the southern part of Hampstead Heath, the area was, in years past, referred to as nearby South End Green. When the now-lost great oak tree of Gospel Oak became famous as a spot in the 1700s, the area was referred to as Gospel Oak. The neighbourhood began serious development in the mid-1800s when Lord Mansfield, Lord Southampton, the area was for many years rather remote from the rest of the wider Kentish Town development and streets were not fully completed and the housing stock was regarded as relatively sub-standard. During this early building period, there was a risk that Parliament Hill Fields would be built over, the fields now host Parliament Hill itself, the Parliament Hill Lido, an athletics running track, a bandstand, café and various children’s play areas. On the evening of 2 September 1861, a train returning from Kew Gardens hit an empty train on the bridge next to Gospel Oak station. The engine left the line and plunged down the embankment, killing 14, a curious story of Victorian Gospel Oak relates to a story that appeared in the local press of the time, called The Elephants of Gospel Oak. In March 1884, Sangers Circus was booked to perform at Gospel Oak, the other two elephants were drafted to pull out the trapped elephants using ropes. All four elephants paraded down the streets of Dartmouth Park, accompanied by hundreds of onlookers, bombing during the 1940s and post-war regeneration affected Gospel Oak considerably. During World War Two, the area around Gospel Oak station was bombed, the school was acting as a fire station at the time and 4 local residents died and many more injured. The present-day school was built on the site, and the damaged Victorian houses opposite were torn down to make way for the more modern estates that are seen today. Edward William Frank James was a British poet known for his patronage of the surrealist art movement. 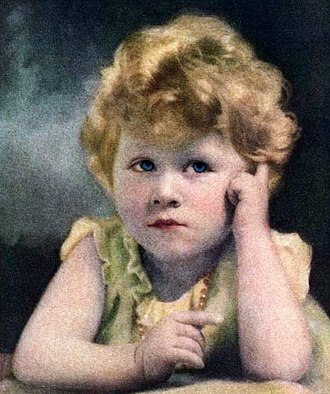 Edward James was born on 16 August 1907, the son of William James and Evelyn Forbes. He was reputedly fathered by the Prince of Wales and in his reminiscences, recorded in Swans Reflecting Elephants – My Early Years. However, there was belief that Forbes may have been one of the Prince of Waless mistresses. Edward James had four sisters, Millicent, Xandra. When his father died in 1912 he inherited the 8, 000-acre West Dean House estate in Sussex and he was left a large sum in trust when his uncle John Arthur James died in 1917. Jamess first sponsorship of note was in publishing John Betjemans first book of poems when at Oxford and he worked with Brian Howard on the Glass Omnibus. After Oxford, James had a career as a trainee diplomat at the embassy in Rome. He was asked to send a message to London that the Italians had laid the keels for three destroyers, but got the code wrong, the message said 300 destroyers. Shortly after this he was sent on indefinite leave, in the early 1930s, James married Tilly Losch, an Austrian dancer, choreographer and painter. He had several productions created expressly for her, the most notable of which was Les Ballets 1933 and he and Boris Kochno commissioned that year Brecht and Weills last collaboration, The Seven Deadly Sins, which Balanchine produced and choreographed. James divorced Losch in 1934, accusing her of adultery with Prince Serge Obolensky, after the divorce, James joined a social set in England which included the Mitford sisters and the composer Lord Berners. James is best known as a supporter of Surrealism, a movement that was born from the political uncertainty. Rejecting the bourgeois dominating rationality, surrealists escaped into a world of fantasy and he sponsored Salvador Dalí for the whole of 1938 and his collection of paintings and art objects that subsequently came to be accepted as the finest collection of surrealist work in private hands. Frederick Louis MacNeice CBE was an Irish poet and playwright. MacNeices body of work was appreciated by the public during his lifetime, due in part to his relaxed. Never as overtly political as some of his contemporaries, his shows a humane opposition to totalitarianism as well as an acute awareness of his Irish roots. Louis MacNeice was born in Belfast, the youngest son of John Frederick, both were originally from the west of Ireland. The family moved to Carrickfergus, County Antrim, soon after MacNeices birth, when MacNeice was six, his mother was admitted to a Dublin nursing home suffering from severe depression and he did not see her again. She survived uterine cancer but died of tuberculosis in December 1914, MacNeice described the cause of his mothers death as obscure, and blamed his mothers cancer on his own difficult birth. His brother William, who had Downs syndrome, had sent to live in an institution in Scotland during his mothers terminal illness. In 1917, his father re-married to Georgina Greer and MacNeices sister Elizabeth was sent to board at a school at Sherborne. MacNeice joined her at Sherborne Preparatory School in the year, MacNeice was generally happy at Sherborne, which gave an education concentrating on the Classics and literature. He was a sportsman, something which continued when he moved to Marlborough College in 1921. In 1922 he was invited to join Marlboroughs secret Society of Amici where he was a contemporary of John Betjeman and Anthony Blunt and he wrote poetry and essays for the school magazines. In November 1925, MacNeice was awarded a postmastership to Merton College, Oxford and he left behind his birth name of Frederick, his accent and his fathers faith, although he never lost a sense of his Irishness. It was during his first year as a student at Oxford that MacNeice first met W. H. Auden, Auden would become a lifelong friend who inspired MacNeice to take up poetry seriously. In 1928 he was introduced to the Classics don John Beazley, a year he thought to soften the news that he had been arrested for drunkenness by telegraphing his father to say he was engaged to be married. Marlborough College is an independent boarding and day school in Marlborough, England. 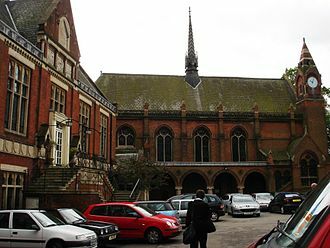 Founded in 1843 for the sons of Church of England clergy, for the academic year 2015/16, Marlborough charges £9,610 per term for day pupils, making it the most expensive HMC day school in the UK. Fees for full boarders are up to £11,310 per term – the 28th most expensive HMC boarding school, the Good Schools Guide described Marlborough as a famous, designer label, co-ed boarding school still riding high. The school is a member of the G20 Schools Group, a sister school in Johore, Malaysia opened in 2012. Founded in 1843 for the education of the sons of Church of England clergy, currently there are just over 800 pupils, approximately one third of whom are female. New pupils are admitted at the ages of 13+ and 16, Marlborough was, in 1968, the first major British independent school to allow girls into the sixth form, setting a trend that many other schools followed subsequently. The school became fully co-educational in 1989, the school has been pioneering in other fields, making a major contribution to the School Mathematics Project and initiating the teaching of Business Studies at A level. Fagging was officially abolished in the 1920s, and Marlborough was one of the first public schools to do so, unofficial fagging did persist beyond this change for some time. In 1963 a group of boys, led by the future political biographer Ben Pimlott, wrote a book, the writer and television critic T. C. Worsley wrote about predatory masters at the school in his acclaimed autobiography Flannelled Fool. She wrote to John Vickers, the OFT director-general and they are schools that have quite openly continued to follow a long-established practice because they were unaware that the law had changed. The college is built beside the Mound and this was used as the motte of a castle. No remains of the castle can be seen today, radiocarbon dating of core samples in the early 2010s indicated that the Mound dates from 2400 BC. This is close to the established for Silbury Hill. 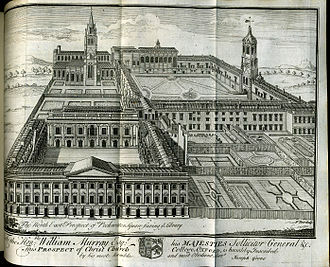 The main focus of the college is the Court and this is surrounded by buildings in a number of different styles. At the south end is the back of an early 18th-century mansion, next to it are the old stables, now converted into boarding houses. Cecil Day-Lewis CBE was an Anglo-Irish poet and the Poet Laureate of the United Kingdom from 1968 until his death in 1972. He wrote mystery stories under the pseudonym of Nicholas Blake and he was the father of actor Daniel Day-Lewis and documentary filmmaker and television chef Tamasin Day-Lewis. 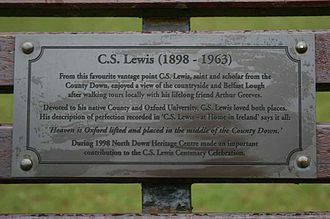 Day-Lewis was born in Ballintubbert, Athy/Stradbally border, Queens County and he was the son of Frank Day-Lewis, Church of Ireland Rector of that parish, and Kathleen Blake. Some of his family was from England and his father took on the surname Day-Lewis as a combination of his own birth fathers and adoptive fathers surnames. In his autobiography The Buried Day, he wrote As a writer I do not use the hyphen in my surname – a piece of inverted snobbery which has produced mixed results. After the death of his mother in 1906, Cecil was brought up in London by his father, with the help of an aunt and he was educated at Sherborne School and at Wadham College, Oxford. In Oxford, Day-Lewis became part of the circle gathered around W. H.
Auden and his first collection of poems, Beechen Vigil, appeared in 1925. In 1928 he married Constance Mary King, the daughter of a Sherborne master, during the 1940s he had a long and troubled love affair with the novelist Rosamond Lehmann. His first marriage was dissolved in 1951, and he married actress Jill Balcon, during the Second World War his work was now no longer so influenced by Auden and he was developing a more traditional style of lyricism. Some critics believe that he reached his full stature as a poet in Word Over All, after the war he joined the publisher Chatto & Windus as a director and senior editor. 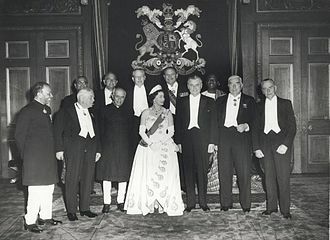 In 1946, Day-Lewis was a lecturer at Cambridge University, publishing his lectures in The Poetic Image, Day-Lewis was made a Commander of the Most Excellent Order of the British Empire by Elizabeth II in her 1950 Birthday Honours. He taught poetry at Oxford, where he was Professor of Poetry from 1951 to 1956, during 1962–1963, he was the Norton Professor at Harvard University. The Holly Lodge Estate is an estate in Highgate, London. The estate is located on the site and grounds of a built in 1798 by Sir Henry Tempest on the south-facing slopes of Highgate, London adjacent to Highgate Rise. The estate lands included Traitors Hill, reputedly where members of the plot had met to watch the Palace of Westminster blow up although since known to be false. This villa was to be known as The Holly Lodge and in 1809 a young actress, Harriot Mellon and she married the banker Thomas Coutts in 1815 and enlarged the house and grounds by buying adjacent properties. The grounds were landscaped by John Buonarotti Papworth in 1825, when Harriot Mellon died in 1837 she left the house and her fortune to Mr Coutts granddaughter, Angela Burdett. Angela Burdett-Coutts had married in 1881 and after her death her husband put the property on the market, being four miles from the City it failed to sell and in 1907 was put on the market again, divided into several lots. The former lodge was demolished during the building of the new roads of houses and no trace of the building now remains, the local Alderman and others involved in the project are commemorated in an inscription on the ornamental pond in the central garden area. This maintains the status of the estate roads and stops a right of way being created. Ownership of the blocks was transferred a number of times and, by the early 1960s under the ownership of Peachey Properties. 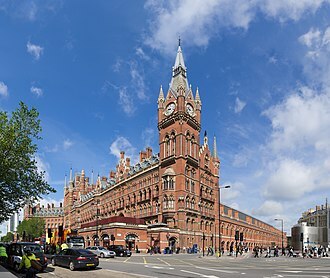 The Metropolitan Borough of St Pancras took them over on a 150-year lease in 1964 which devolved to the London Borough of Camden the following year. Whilst Camden looks after the blocks and the gardens in between the blocks, the remainder of the estate is managed and maintained by the Holly Lodge Estate Committee. The whole area remains a private estate and has been a Conservation Area since June 1992, behind it were three lawn tennis courts where annual tennis tournaments were held. Towards the late 1950s this community block fell into decline and by the time Camden bought their lease on the mansion blocks it was derelict, for many years Camden retained the policy of only placing women on the estate but that has since lapsed. The only known other estate built for women was in Wandsworth but has since been demolished. 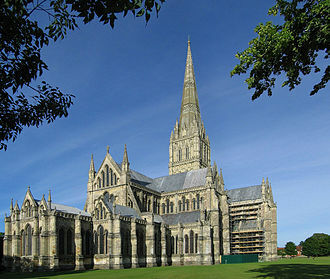 Church architecture of England refers to the architecture of buildings of Christian churches in England. 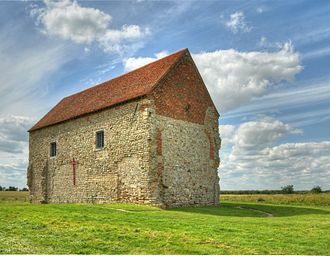 From the birth of Christianity to the present, the most significant period of transformation for Christian architecture, in England, Saxon churches still survive in some places, the oldest example being the Church of St Peter-on-the-Wall, Bradwell-on-Sea. But with the Norman conquest, increasingly the new Romanesque churches, often called Norman in England and these were massive in relation to the space they enclosed, their walls pierced by windows with semi-circular arches. Internal vaulting used the same shaped arch, unsupported roofs were never very wide. Yet some of buildings were huge and of extraordinary beauty. The Abbey church of St. Mary Madgalene at Vézelay in Burgundy, the next development was due to the mobility of the master masons whose work this was. They followed the Crusades and built their own churches in the Holy Land, however they noticed that the local Muslim architecture deployed the much more flexible two-point or Gothic arch. The semi-circular arch was heavy and, in spite of this, the gothic arch on the other hand was stronger and could be used to make for wider unsupported spaces. 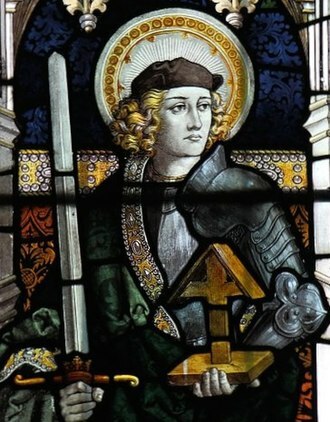 Thus there came to Europe, first the narrow, lancet window, often found in pairs or triplets, examples of parish churches include Eaton Bray in Bedfordshire and West Walton in Norfolk, it is most commonly found in the south eastern counties. The style was spare and monastic in character with little carving The period is reckoned by Pevsner to run from about 1190 to 1250. In spite of its name the style was at one time called the French style, by the late thirteenth century more daringly ornate styles of tracery were tried – the so-called Decorated, dating from 1290–1350. Initially geometric, using circles as well as the two point arch, it derived from the French Rayonnant style, however, it slowly became more daring and flowing, the name curvilinear has been ascribed to it. More formal reticulated tracery can be found, as in Wells Cathedral, larger windows inevitably weakened the walls which were now supported by large exterior buttresses which came to be a feature. 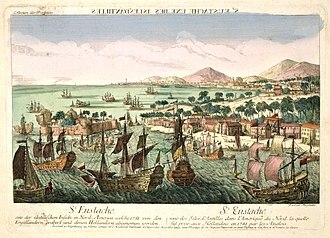 The capture of St Eustatius by the British fleet in February 1781. The island is sacked by the British. Glorious action of the French Admiral Suffren against the British Admiral Hughes in the seas of Ceylon. 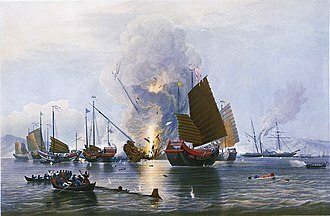 The intervention of the French navy attempted to rescue the Dutch colonies in Asia. View of London from Parliament Hill during sunset. Aberystwyth at around 1840. Crane, W., fl. ca. 1835-1850, lithographer. A square grass lawn surrounded on three sides by joined buildings; to the left and centre, three storeys with windows positioned to form a regular pattern, topped at roof level above each window by curved gablets; on the right, two bay windows (one large, one medium) project from the wall, with the same design of curved gablets. Radcliffe Camera, Oxford — the "Radder"
A view of the Lismore Circus Estate, two parallel blocks of continuous housing units dating from the early 1970s. Candida Lycett Green (left) unveiling a plaque commemorating her father, John Betjeman, at Marylebone Station in 2006. Statue (2007) of Sir John Betjeman at St Pancras Station. Housing on Oakeshott Avenue within the Holly Lodge Estate.